Looking for a rental property in Perth to accommodate you and your furry friend can be challenging. The good news is that it’s becoming increasingly common for owners to allow pets, and more often than not property managers are advising owners to keep an open mind about pets, particularly in the current market. When applying for a property, be upfront with the property manager and owner about your situation. There is no point hiding the fact you have a pet because if discovered, you could be forced to leave your home or give up the pet in order to stay. If you’ve rented with your pet before, obtain references from the previous property owner or manager. Providing these references as part of your application can help considerably with the approval of your application. Approval for a pet is, in most cases, just for the pet described in the application. If your pet is approved, it doesn’t mean you’re able to have more animals move in or that you can replace your pet with a new one if the approved one passes away or moves out. To maintain a good rental record, speak to your property manager as your circumstances change. 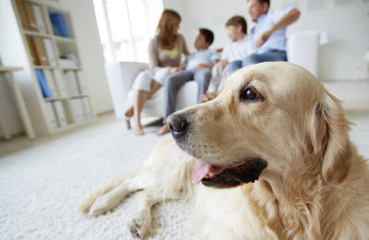 As part of the Residential Tenancies Act you may be required to pay a pet bond. This is in addition to your main bond and is set aside and used for fumigation if required. Any other damages caused by the pet and not repaired before the end of the lease will be deducted from the main bond payment. The pet bond is currently $260 as stated in the Act and you’ll need to sign additional documentation as part of the lease. You should also be aware that many strata titled properties do not allow pets at all so even if the property owner is happy for you to keep one, the Strata Company has the authority to have the pet removed. Be realistic about your pet’s needs. Take the time to seek out a property that has an appropriately sized yard, suitable fencing and an undercover area. A pet that’s more comfortable in its surroundings will be happier and less likely to cause problems such as excessive barking, running away or damaging the property. If you’re already locked into a rental agreement and you want to get a pet, it’s important you discuss what options you have before making any commitments.